Continuing with our fresh idol voting .This is the second set of artists to choose from. Just as with Volume 1, you can select as many as you like, which you like to see us cover. Just use the comments section to cast your vote or votes . One thing about the lesser-known units, they love the wota aspect of the genre. They have no issues dancing in a crowd of wotas, as you will see at the 4:00 mark. I selected this next group ,as they show the other side of the coin so to speak. Outside of the big pocket agencies ,there is another world ,a world of hard working often do it yourself idols ,or very small agencies ,with idols selling 100`s to 1,000 not 100,000`s of CDs. In this other lesser known world, there are no idol battles over Oricon rankings, No Friday’s reporter trying to expose an idols private life. There are only idols, supporting each other, sharing wotas and bringing smiling faces with every song, as if they were on the largest stages in the world. Ricotta Veil look so cute! I like Feam. They can sing dance and are energetic! Pop's voices are really annoying *__* I hate when Idol's sing like that, like their 5. I love fresh new groups. the more, the merrier. I need more of these awesomeness! Which group is the most fashionable, or has the most fashionable uniforms/costumes? 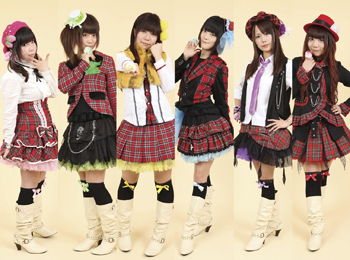 Idol Groups That "Should Have Been"
Passpo☆ Taking Flight To New Levels. Momoiro Clover Z is back with Gounn! NMB48 Debut PV “Zetsumetsu Kurokami Shoujo“! AKB48 To Get A Rival? Momoiro Clover Z “D’ no Junjou"
S/mileage 2nd Generation Audition Update.